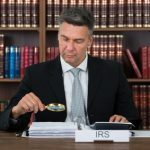 Nick Nemeth, the lawyer who founded a well known law firm in the DFW areas of Texas, gives readers 5 important steps when dealing with the IRS. Dallas, TX- September 11, 2014- Attorney Nick Nemeth, who is well known for his role in founding a well known and respected law firm that operates in Dallas, Texas, recently published an article online which shares several helpful tips on how to avoid trouble with the IRS. This article can be found on the home page of his website. 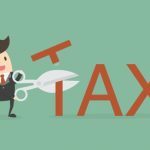 The title of the article is “Don’t Get Sucked In: Five Ways to Avoid a Tax Dispute with the IRS” and it can be very helpful for readers because it provides information that is practical and that every taxpayer can benefit from. The ideal way for a taxpayer to overcome a tax dispute with the IRS is avoiding this altogether. 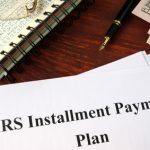 With that in mind we have identified 3 key steps that taxpayers can use to avoid gaining attention from the IRS in the first place and avoid any tax dispute with this agency at all. 1) Always report any income that you have, never report less than your full income and all payments that you get. It can be extremely tempting to fudge some so that you pay less in taxes, we all want to have cash in our pockets. The IRS has many sophisticated tools and technological methods to detect any unreported income, and you will usually get caught if you try this. Eventually you will end up owing taxes on any unreported income, and your whole life can be turned upside down in the process. The risks are really not worthwhile, and if you are caught under reporting your income you are in for a world of pain and misery from this government agency. 2) Make sure that you are the only one claiming any dependents that you list on your tax return. A common red flag with the IRS is a dependent being claimed by more than one taxpayer. 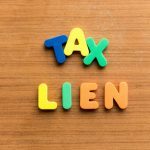 If you claim a dependent who is also claimed as a dependent on the tax return of someone else then the agency will notice, and each taxpayer who claims the same dependent may become involved in an IRS tax dispute. Keep documentation about who is allowed to claim the dependent whenever possible. 3) Keep track of any documentation that supports your tax claims, deductions, and other factors. If the IRS decides to audit you or has questions concerning your specific tax return then they will want to see documentation for the questioned information, deductions, or other tax claims. If you do not have the documentation that the IRS demands then you could end up owing a big tax bill because your deductions or exemptions were removed. Keep all supporting documents organized and easy for you to access if they are needed. The Nick Nemeth legal practice assists taxpayers who have IRS disputes. The legal team of professionals works closely with business owners and individual taxpayers in order to resolve any controversy with the IRS. Nick Nemeth has more than 15 years working as a tax lawyer, and he is also an author as well. Nick focuses on assisting both businesses and individuals deal with IRS problems head on, eliminating the problems and harassment that this agency can cause. The law firm is located in Dallas and Fort Worth, and specializes in resolving issues with the IRS as well as saving clients money. The Law Offices of Nick Nemeth only handles tax disputes and IRS issues, and one of the most common types of cases seen is delinquent tax returns.